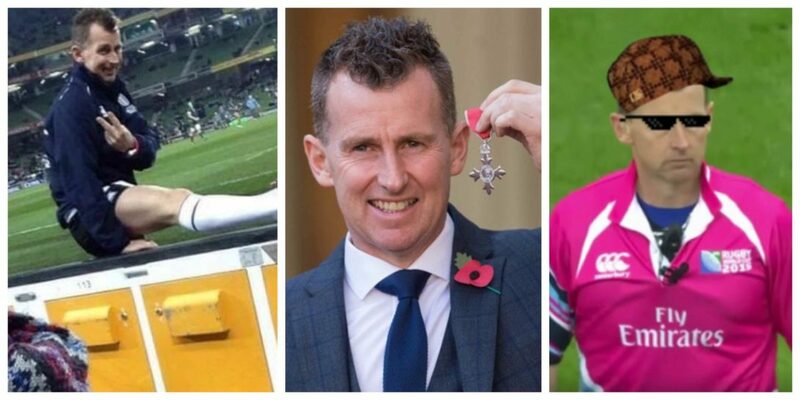 Nigel Owens, who’s brought class, standards and entertainment to the game since beginning his professional career in 2002, has come up with some cracking one-liners over the years. Let’s take a look at the top 10. First we begin with what is probably Owens’ most famous quote. It has become a world-wide favourite for rugby fans. As everyone knows, scrum-halves are renowned for their complaining and whining, and referees seem to tolerate it.However in 2012, Owens was the whistle-blower in a RaboDirect PRO12 match between Munster and Bennetton Treviso when Treviso scrum-half Tobias Botes began complaining that the Munster captain Paul O’Connell wasn’t releasing at the ruck. Nigel calls him over… and after a long lecture… ends with “This is not soccer”. Class. This was a game in his native region out West. In the Magners League clash between the Scarlets and Irish province Leinster, things start to boil over down in Parc y Scarlets. A high tackle from Leinster flanker Sean O’Brien sparks a mass brawl between the two sides; unfortunately the incident wasn’t seen by any of the 3 match officials, therefore no action was taken… or so we thought… Without taking any nonsense from either team, Nigel calls all 30 players in for a ‘quick chat’. To commentator Jonathan Davies’ delight, Owens calmly exclaims “I don’t want to make a big issue out of this…”.